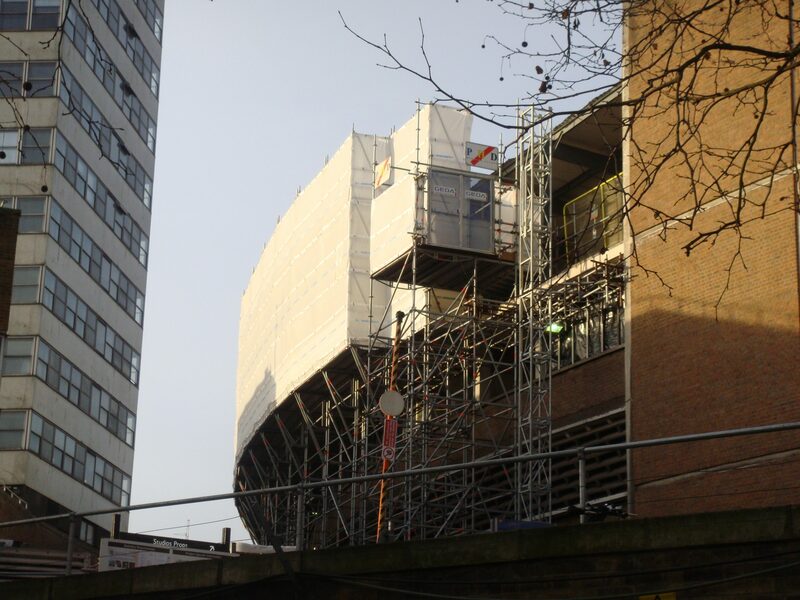 PHD erected Access Layher Scaffold, to the Scudder facetted perimeter of the rotunda at the BBC Studios Wood Lane, a Listed Building, enabling safe demolition works. 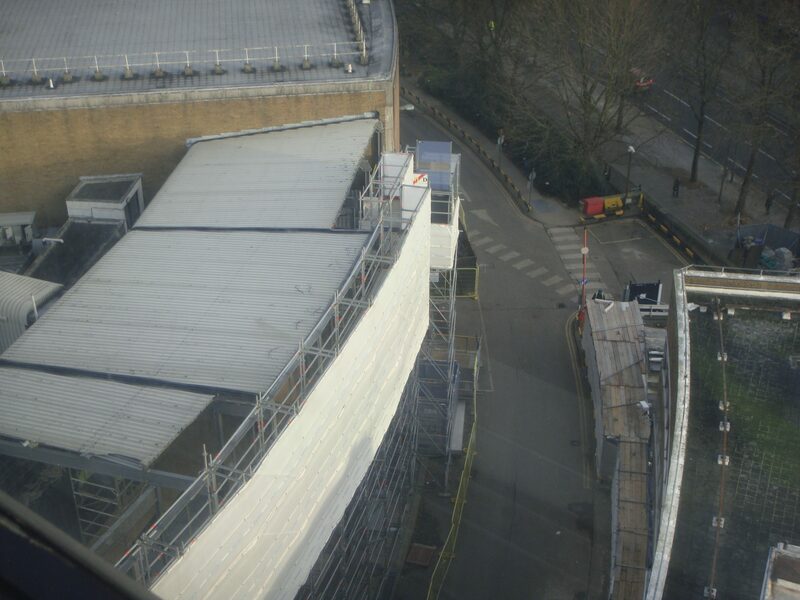 A hoist is tied to the PHD scaffold for removal of rubble & debris and the scaffold is Monarflex sheeted for protection. 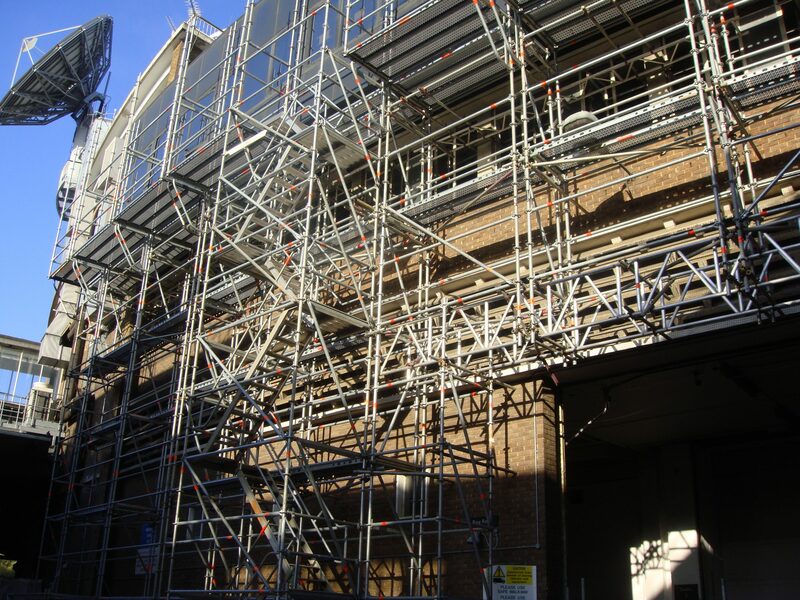 As the building is listed PHD had to overcome the challenge of fixing the scaffold safely and tying in without damaging any of the existing building.